The Dolomites with its bizarre rock formations, characteristic peaks and lush green meadows are – since 2009 – a UNESCO World Heritage Site. 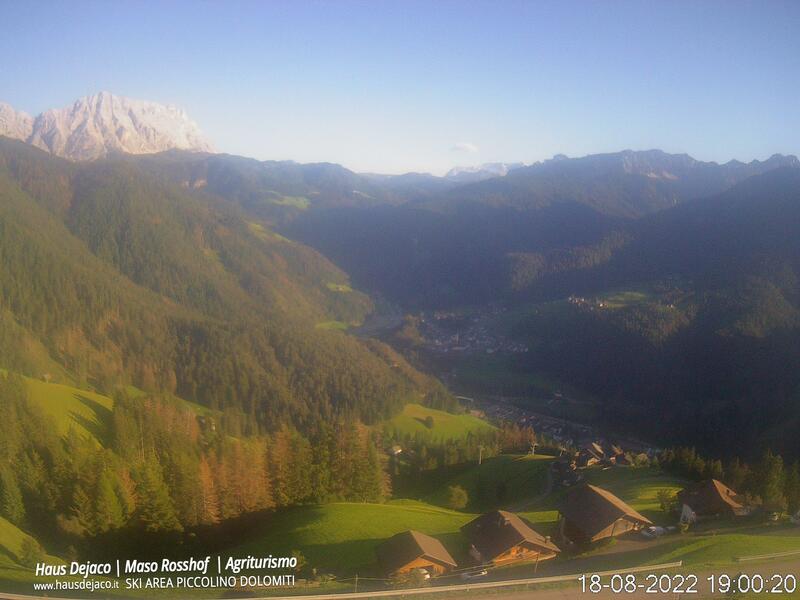 Alta Badia has an original character, and with the nature parks Puez Odle and Fanes-Sennes-Braies offers nature lovers and active travellers wonderful hiking holidays in the Dolomites. Plan de Corones is a popular ski resort in winter. In the summer months it attracts hikers and mountain bikers in the high alpine region. A network of well-marked hiking paths and mountain bike trails runs through the natural area. Traditional mountain huts and romantic alpine inns invite you to taste homemade delicacies and hearty dishes during a break amid green pastures. Alpine idyll welcomes you to the natural area of Val Badia. Deep forests draw up the slopes of the mountain giants and along the meadows bumble bees buzz on colourful flower meadows. Stone roses, rhododendrons and gentians create colourful splashes of colour. Ancient farmhouses, the so-called Viles, line the paths. Built centuries ago from gnarled larch, they have survived to this day almost unchanged. In the high alpine areas during your hiking holiday you may see marmots in clearings and pursue the majestic flight of the golden eagle. San Martino in Badia is located in the heart of the Badia Valley and the mountain village is the centre of the Ladin culture in South Tyrol. In this corner of the Dolomites, the old customs and traditions of the Ladins have survived until today. At the Ladin Museum at Ciastel de Tor you may find out many details about the history of the Romansh minority and dive into the world of myths and legends of this alpine region. During your hiking holiday in the Dolomites visit the restored mills and enjoy a hike to the hamlet of Costa with a stunning view of the Castle of Thurn. Wonderful hiking trails in the region of Val Badia will lead you to the alpine heights of the Sasso Croce, Sas de Putia and Odle Group. The climb to the Fanes plateau is a great nature experience. The trail leads through shady pine forests, and at the Holy Cross Lodge at 2045 meters, you’ll have the possibility to rest and spend the night. Traces of World War I await you on the path “Kaiserjägersteig“. At an altitude of over 2,000 meters, you’ll walk along old tunnels and bridges on the 10 kilometre hike.